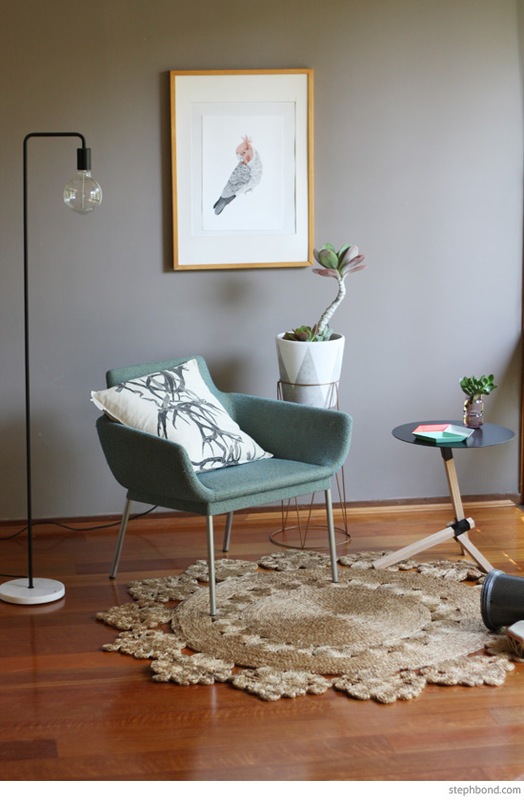 Metro floor lamp from Freedom, Armadillo & Co. Marigold rug from Contents International Design, Tre side table by Keiji Ashizawa for Duende from Top 3 by Design, Zola clay planter from Freedom, all at Supa Centre Moore Park. Other pieces, my own (Walter Knoll Scoop 443 chair by EOOS, Pony Rider cushion, plant stand from Kmart, Hay Kaleido trays, Gang Gang Cockatoo illustration by Beth-Emily, vase from IKEA, vintage doumbek). You can find all my picks for living rooms and more information over on the Supa Centa Moore Park website right here.